Free Shipping - Pedicure Stool is an elegant and sophisticated pedicure stool. 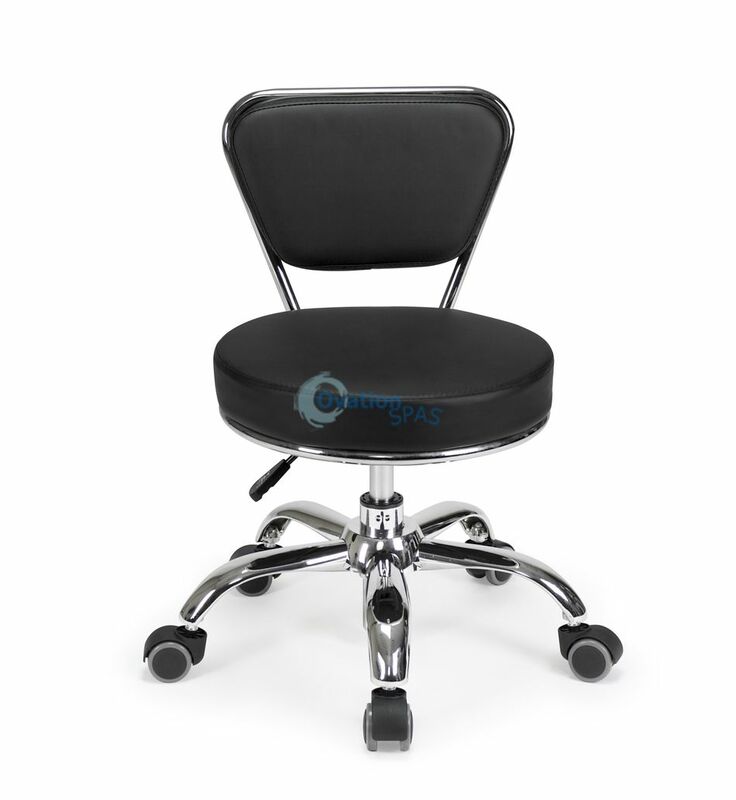 Additionally, its upholstered with soft acetone resistant vinyl and padded memory foam back and seat cushion for superior comfort. It comes finished with a polished chrome base and 5 easy roll-about castors for mobility.